Your wedding deserves more than “ordinary” photoalbum with random photos. I will capture your wedding as a unique story – exactly as it will happen. Once when you will show your wedding photos to your grandchildren they will bring them back to the atmosphere and moments which you enjoyed in this special day. My name is Radek Čepelák. As a first wedding photographer in Prague I capture weddings in a different way – by a creative story on which I personally participate. However the wedding party almost don’t know about me. I love spontaneous and non-arranged moments. On the other side I will arrange the photos into a unique visual story which you will receive in an original photoalbum made in Italy. Capturing weddings as a day story to tell your unforgettable life moment. 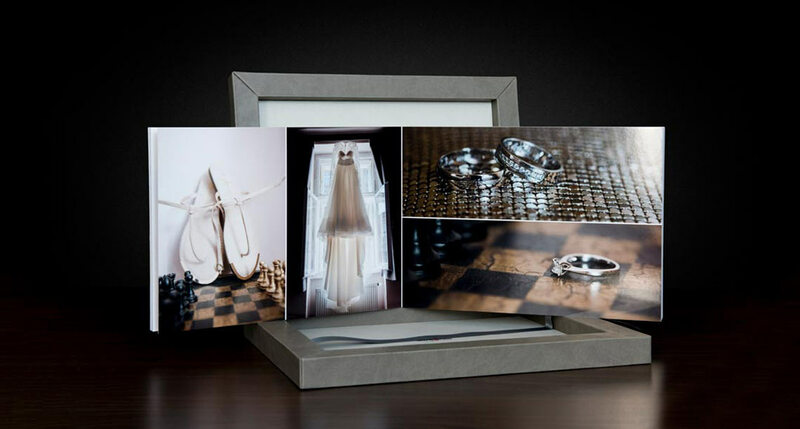 I'll deliver stylish wedding albums, which keeps your memories also for next generations. I will create creative visual collection of unforgettable moments from your wedding day trough photography. Two same weddings doesn't exist. Each wedding has unrepeatable unique story. Are you planning thematic wedding in modern style or informal ceremony in the nature? I am curious to know all details. I'll connect sequence of all wedding day parts in unique photography story. This story will bring you back anytime. Fill in the form and send me a message or just call me and we can talk about all details. Look at one of the wedding story photographed by me, you can see final wedding album at the end of clip. What newly weds appreciate about me? 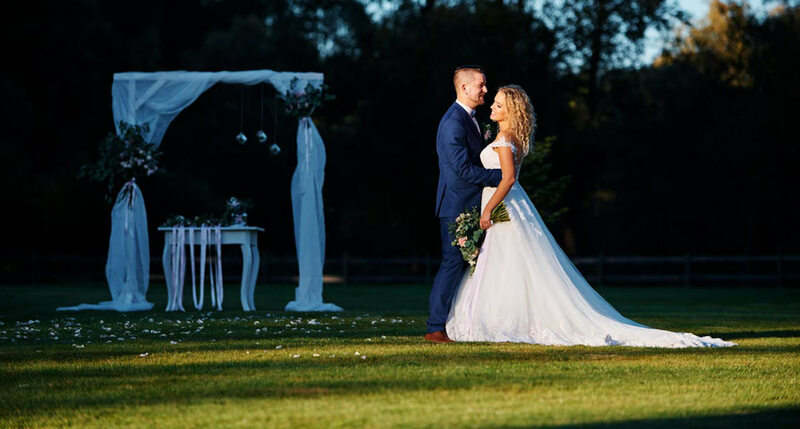 Radek provided an extremely professional service throughout our wedding day and ensured that we received photography of an excellent quality. From our first meeting Radek went beyond expectations to ensure that all of our needs were met. He informed us fully of all his offers and did not put any pressure on us when it came to choosing the package that we preferred. He was willing to meet us on a few occasions before the wedding and was generous with his time as we walked through various areas of Prague where our wedding photos would be taken. He is clearly knowledgeable about what scenery and light will work well and this can be seen by the final product. Our package included a pre-wedding photo shoot and Radek selected a beautiful area on the outskirts of Prague to use. This resulted in a stunning photo book that our guests could sign on the day of our wedding providing an additional memento. On the day of the wedding, Radek and his assistant were attentive and professional as well as unobtrusive. They captured our day in photographs perfectly ensuring that the most important moments were captured in stunning images. Radek remained at our wedding beyond the agreed time ensuring that no moment was missed and our day was fully pictured. Post wedding, Radek met remained in contact, sending us images digitally and meeting with us to finalise our wedding album. He helped us to select the best pictures and edited the pages to ensure that our wedding story was complete. The completed album was of high quality and beautifully presented. It came with a high quality DVD and USB Disk with the images in 2 formats – one for printing and the other for digital use. Overall we were extremely impressed with the quality of Radek's work and his professionalism and attention to detail. We would highly recommend his service. Wedding Photographer Radek Čepelák: "Wedding photography is both a challenge and a responsibility"
Radek's father brought him to the photography. He spent so much time in non-digital era with him and developing films in a dark room. He began to specialize in wedding photography since 2010 when he was asked to photograph a wedding for one of his close friend. From that experience and the positive accolades he received on his work, he received numerous offers. His approach to wedding photography consists of an artistic reportage of the most natural sense, preferring an emphasis on non-stylized, non-arranged moments. Don´t expect conventional photography out of context or some package with exact number of photos. You will discuss all in details with Radek. Are you looking for such photographer for your wedding? Great. Fill-in contact form or just call him with as much details as possible. Don't forget to mention date of wedding, location, your estimated coverage and other important details. Radek is based in Prague in Czech republic, but he travels with his clients anywhere.